Nested Scales is a prototype of a screen wall installation designed and mocked-up during an intensive week long workshop. 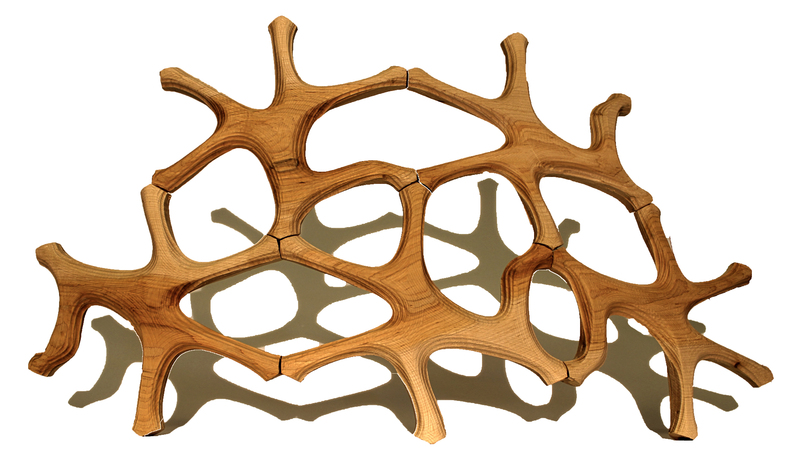 The impetus for the form was based on combining natural geometries of multiple porous plants. 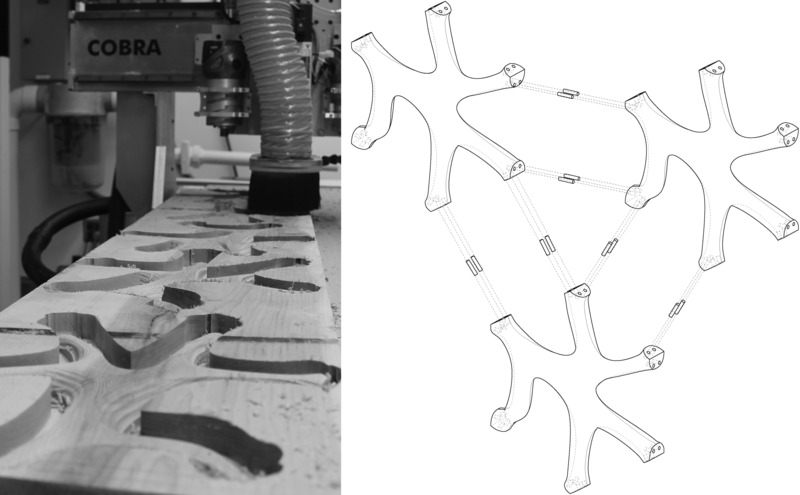 The pattern became a modulation transformed to take on a self supporting surface, and experimental methods of cnc routing allowed a nested pattern to operate on multiple scales. The investigation of plants as a formal precedent revealed the organization and pattern of organic structure, which could be replicated as a 3D fabrication. Nested Scales is an exploration and manifestation of patterns within patterns. 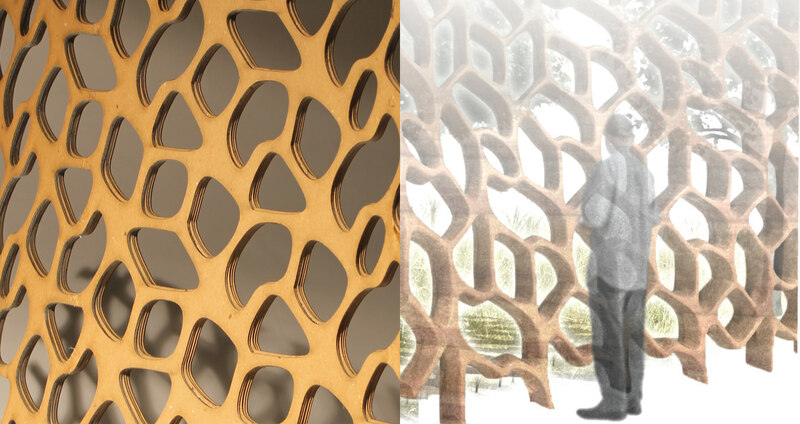 The result is a porous screen wall assembled with identical modules, each inscribed in a hexagon, and tessellated to create a seemingly random array.